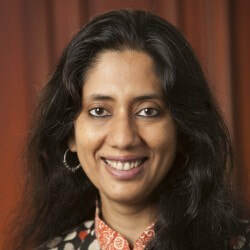 Ruchi has over 20 years of experience in the development sector and in advertising. She has worked on women’s rights and human rights issues in South Asia and South East Asia. At THP, Ruchi oversees strategic management, program design, policy and operations. Ruchi has been involved in the effort led by THP Global towards Global Strategic Dialogues. She co-led an international team on the strategic group Learning Organization and was a member of the Strategic Planning group.